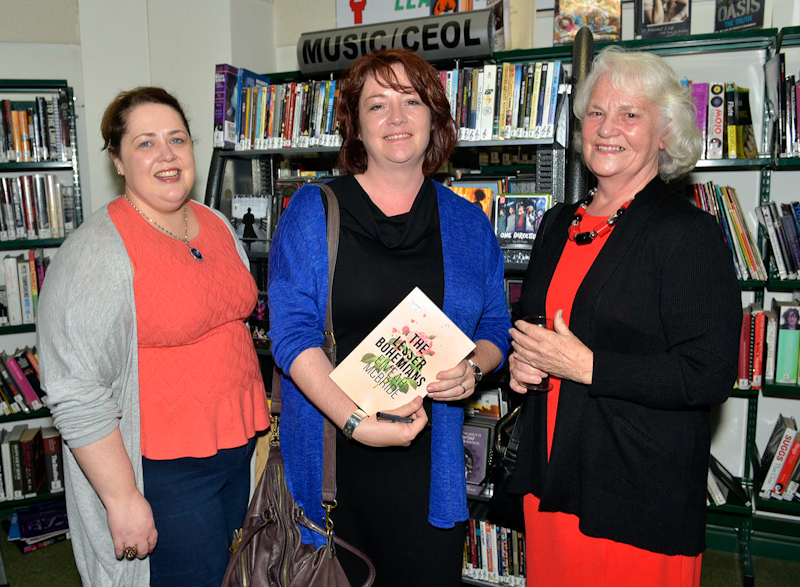 Eimear McBride, author, pictured in Castlebar Library at the launch of her new book ‘The Lesser Bohemians, l-r; Ann Conlon From Balla, Eimear McBride and Geradine McBride. Photo © Ken Wright Photography 2016. 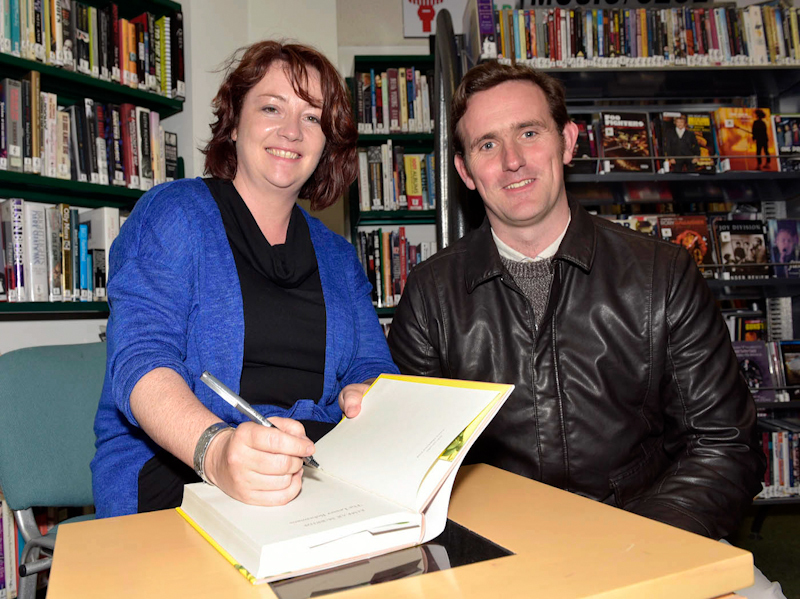 Eimear McBride, author, pictured in Castlebar Library at the launch of her new book ‘The Lesser Bohemians signing a copy of her book to Martin Dyer from Swinford,. Photo © Ken Wright Photography 2016. 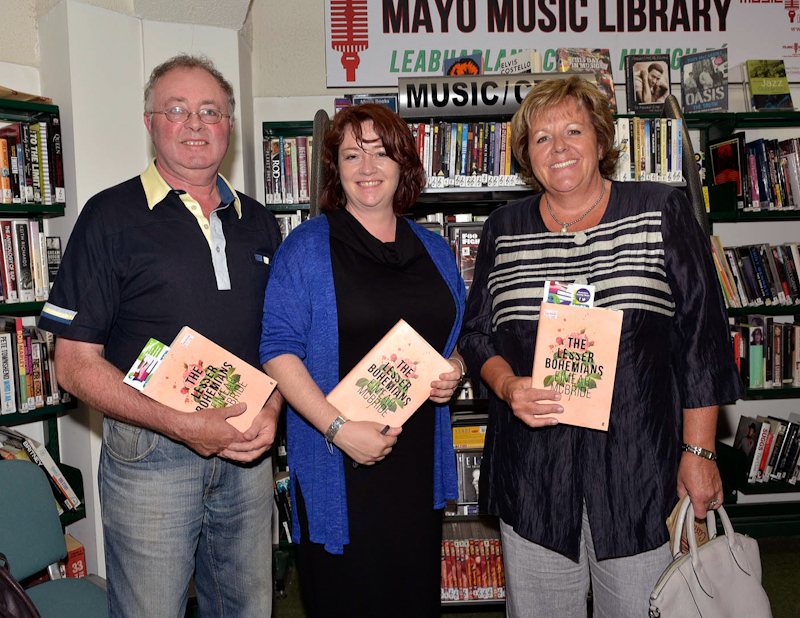 Eimear McBride, author, pictured in Castlebar Library at the launch of her new book ‘The Lesser Bohemians, l-r; Michael Larkin, Eimear McBride and Fionnuala Kenny. Photo © Ken Wright Photography 2016. 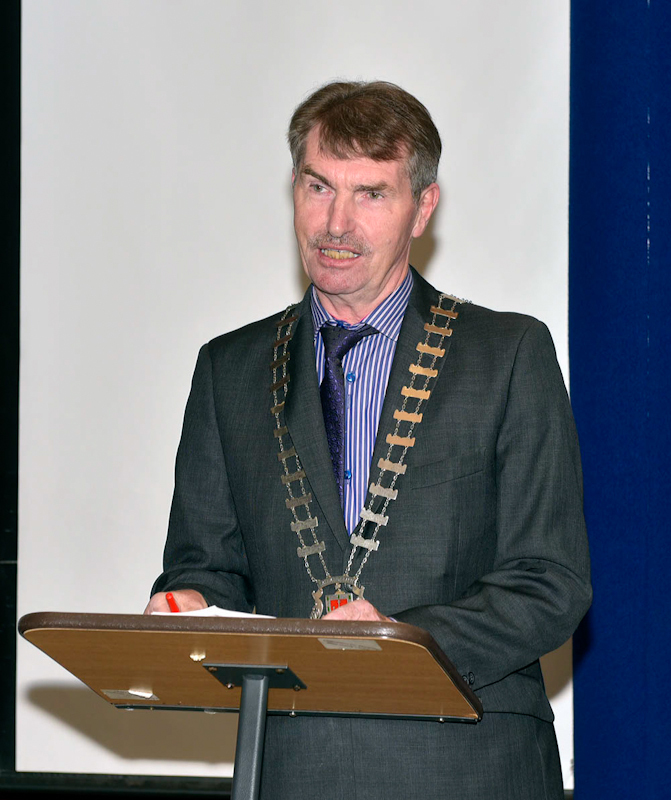 Councillor Al McDonnell, Cathaoirleach of Mayo County Council pictured in Castlebar Library addressing the large turnout for the launch of Eimear McBride’s new book 'The Lesser Bohemians'. Photo © Ken Wright Photography 2016. 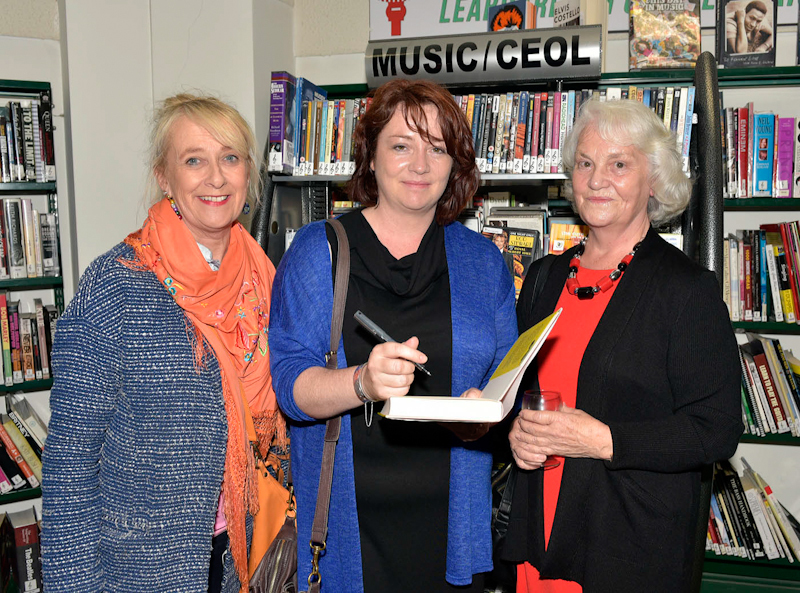 Eimear McBride, author, pictured in Castlebar Library at the launch of her new book ‘The Lesser Bohemians, l-r; Noelene Cashin-Cafolla, Eimear McBride and Geradine McBride. Photo © Ken Wright Photography 2016. 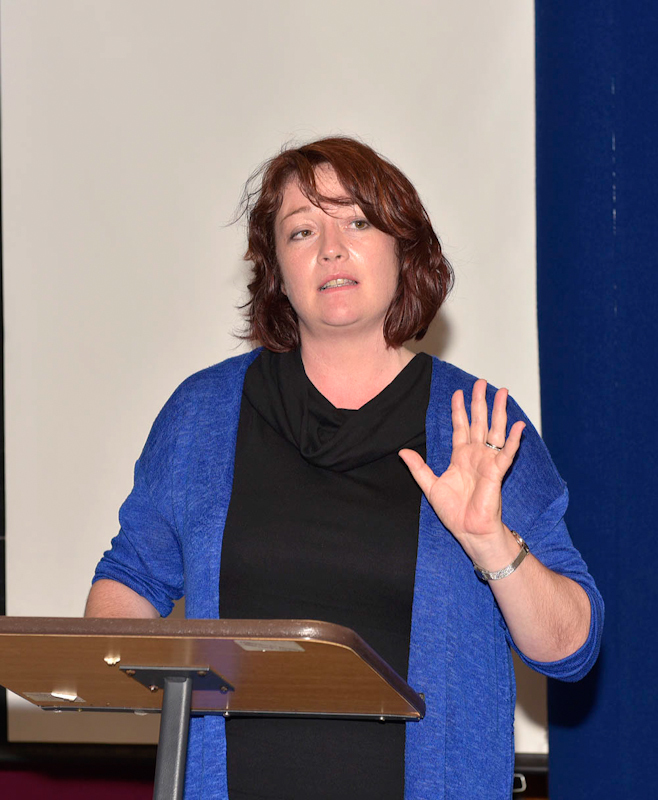 Eimear McBride, author, pictured in Castlebar Library at the launch of her new book 'The Lesser Bohemians'. 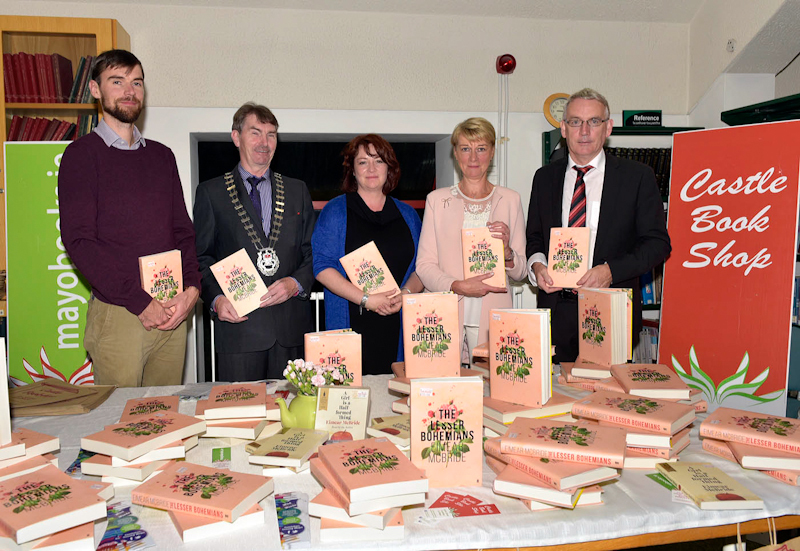 l-r; David Brennan, Castle Book Shop, Councillor Al McDonnell, Cathaoirleach of Mayo County Council, Eimear McBride, Catherine Brennan and Austin Vaughan, County Librarian. Photo © Ken Wright Photography 2016. 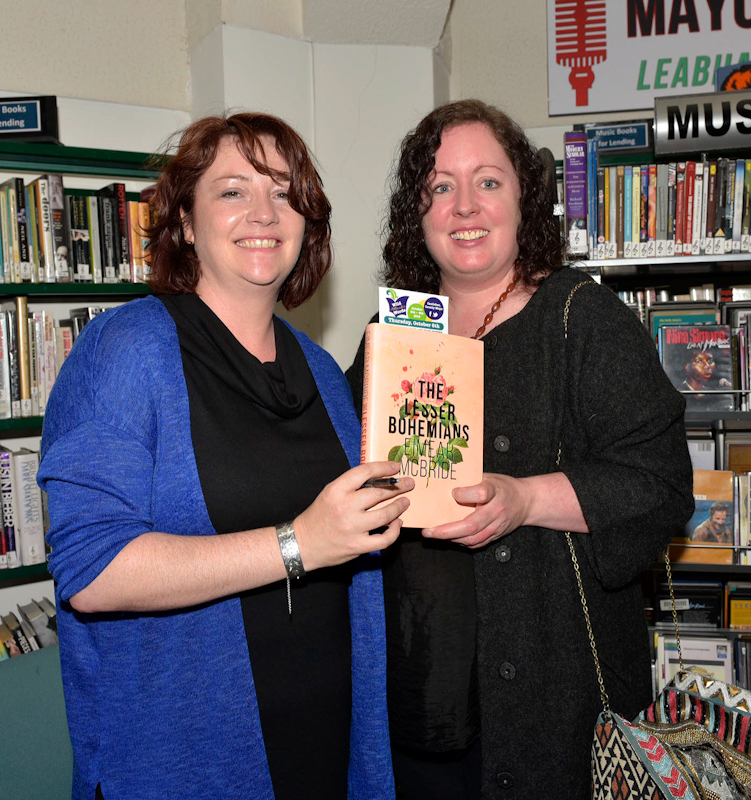 Eimear McBride, author, pictured in Castlebar Library at the launch of her new book 'The Lesser Bohemians'. 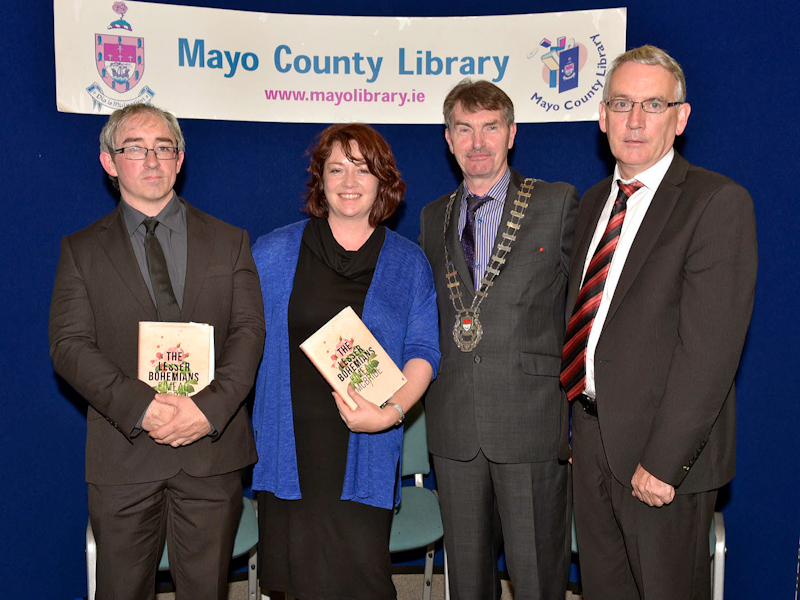 l-r; Jarlath Killeen, lecturer of English in Trinity College, Eimear McBride, Councillor Al McDonnell, Cathaoirleach of Mayo County Council and Austin Vaughan, County Librarian. Photo © Ken Wright Photography 2016. 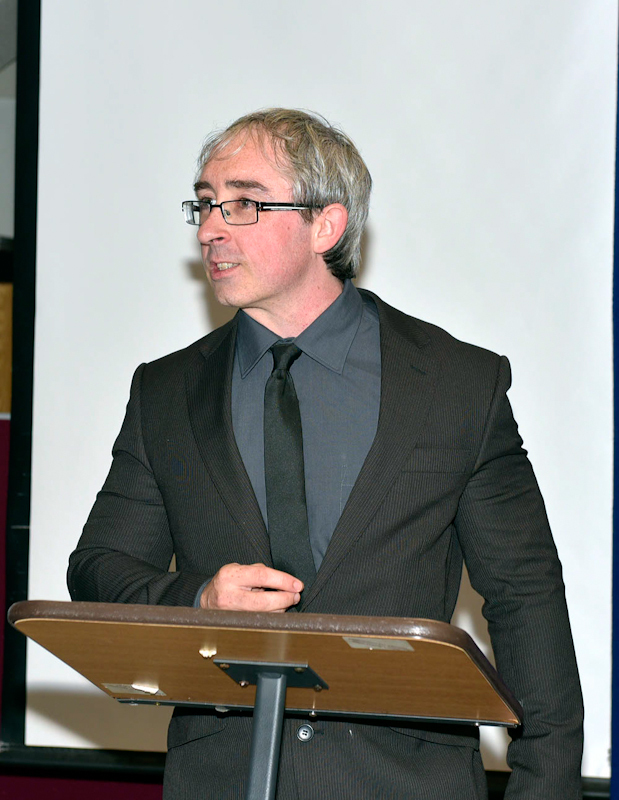 Jarlath Killeen, lecturer of English in Trinity College pictured in Castlebar Library addressing the large turnout for the launch of Eimear McBride’s new book 'The Lesser Bohemians'. Photo © Ken Wright Photography 2016.